We are heading to the Bering Sea Fisheries Conference tomorrow. This is conference season for us: we went to the Work Boat Maintenance and Repair Expo in New Orleans two weeks ago, and will be attending the Offshore Technology Conference in Houston next week. Whew. Topics include new vessel review, legislative issues, financing, marketing sustainable seafood, and more. The show will be at the Renaissance Hotel in downtown Seattle. More info can be found on the web site at www.beringseafisheries.com. Be sure to stop by the Teknotherm Refrigeration table and introduce yourself! I spent most of last week in New Orleans at the Work Boat Maintenance & Repair Expo. Met a lot of interesting people and saw some new products that we might start carrying or incorporating into our refrigeration systems. Also met the nice folks at Work Boat Magazine, who put on the show. I’ve corresponded with the Work Boat staff many times so it was good to finally meet them in person. 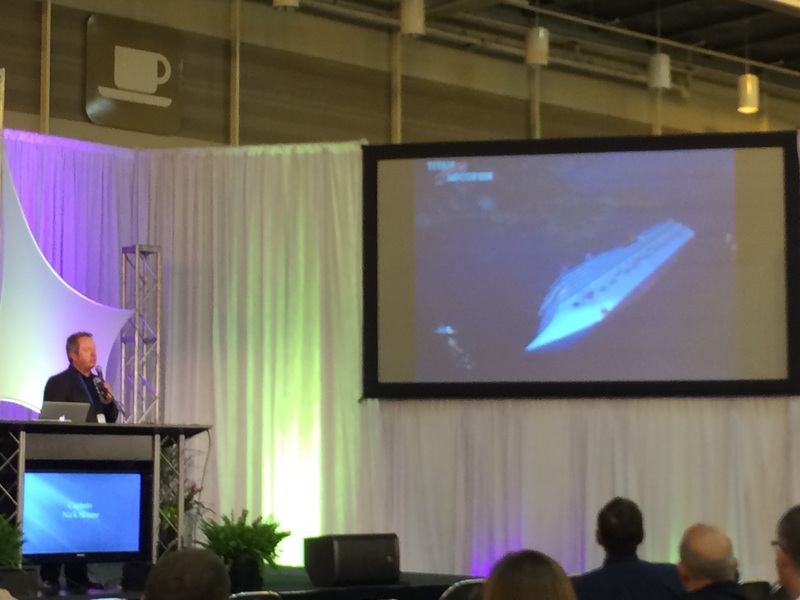 Captain Sloane and his very impressive presentation about salvaging the Costa Concordia. New Orleans is a fun city. Spontaneous parades, good food, and strolling around the French Quarter; can’t go wrong. My hotel was just four blocks from the convention center. However the center is half a mile long and the show was, of course, at the far end of the building. I got some exercise for sure. The lunch spread was nice and you can’t argue with the open bar every evening. Made some new contacts, learned about new products, and came away with new knowledge so I’d call it a success. There will be another, much larger Work Boat show in December. Contact Work Boat magazine for information on attending. I’m off to New Orleans tomorrow for the Work Boat Maintenance & Repair Expo. This looks like a fun event, with keynote presentations from Captain Nick Sloane, Senior Salvage Master on Costa Concordia Wreck Removal Project, and Coach Terry Bowden. The exhibitors area will feature the latest in marine technology and services. This show is different from the larger Work Boat Show in December. It is aimed at the people who are responsible for vessel maintenance and repair. There will be many presentations, from training new welders to lubricant regulations and understanding corrosion. Info on the show can be found at www.workboatmaintenanceandrepair.com/. If you see me wandering around be sure to introduce yourself. Hope to see you there! 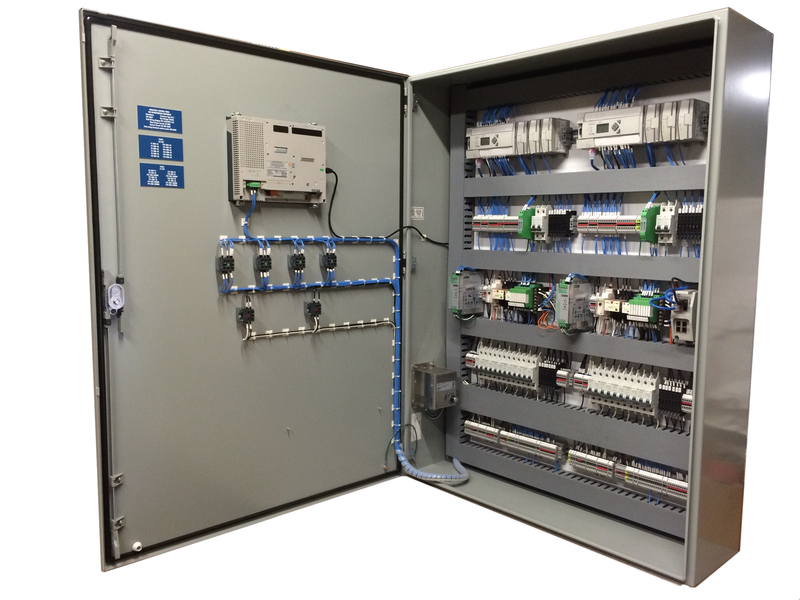 Vladimir and Jon recently completed a control panel for a 170 ton fishing vessel. In an earlier post we talked about Splitting a Two-Circuit RSW System, taking a system that had two chillers but only one condenser, one compressor, one receiver, and one ineffective control system, and making into two separate, complete systems. This is the panel for that boat. You can see the controls are symmetrical; one half for one system and one half for the other. They are monitored on a single screen. 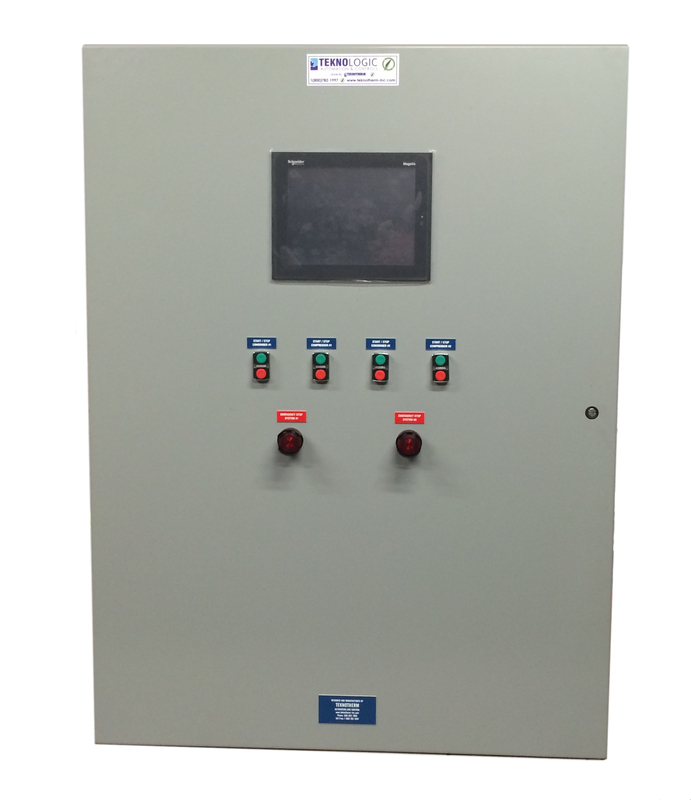 Most major components “talk” to the controls, and the user can monitor each component via the touch-screen display. 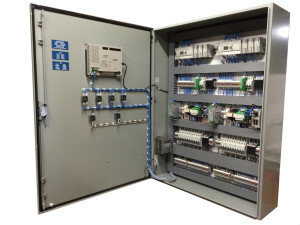 It includes pressure and temperature inputs, refrigerant levels, and other data from the chillers, compressors, motors, and other components. Another great feature is that it can be operated from a smart phone or computer anywhere in the world. Whether its the engineer on the bridge or a technician in another country, as long as both you and the vessel have an internet connection and the log in information, you can monitor virtually every aspect of your refrigeration system and adjust many settings You can also chase down any problems that might occur, send a technician directly to the trouble area, and even trouble-shoot with the help of one of our techs thousands of miles away. Very cool. Vladamir wrote custom programming for this project and Jon built the panel. Pretty much everything we do here at Teknotherm is custom designed for a specific ship or facility. No out-of-the-box panels for us! 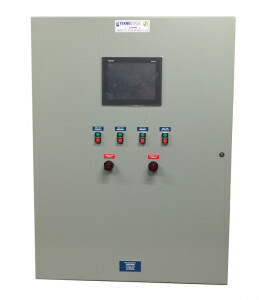 This control panel has multiple safeties and the highest quality components we can find. “Robust” is what they call it. This particular panel underwent three full days of testing and fine-tuning before it left our shop.